Born and raised in Venice, California, Tansy Myer came of age among the eclectic artist community of the Venice Boardwalk. Inspired by the indulgent worlds of music and fashion, she began drawing her girls at a young age as a way to create and control the beauty and perfection that seemed to be the pinnacle of achievement for a girl. Tansy’s work centers around identity and how women use beauty to define themselves. 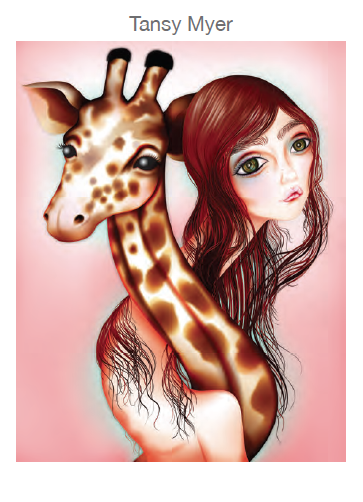 The themes of adolescence and adulthood, innocence and sexuality are present in both her digital drawings and paintings. The juxtaposition of her slick and pretty digital work, with the raw awkwardness of her “nerd” girls is a perfect example of the battle inside every woman to identify themselves in an appearance-obsessed culture. Based in Los Angeles, Tansy works as an artist, illustrator and designer, creating digital art as well as painting and drawing strange, pretty, and nerdy girls. 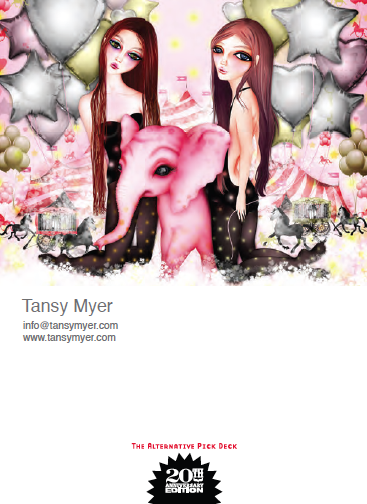 Tansy Myer is part of the 20th Anniversary Alternative Pick :: Deck Edition. To see more of her work go to her website and Altpick page. This entry was posted in Altpick, Illustrations and tagged digital art, drawing, eclectic artist, painting, teens, venice. Bookmark the permalink.